As the Site Director of the FOCUS team at Naval Construction Battalion Command Gulfport and Keesler Air Force Base, I always know summer is near when FOCUS families begin asking more questions about routines. Families know routines are important and may have mastered them during the school year. Yet, the coming of summer and all of its free time can be a cause to seek out new strategies and tips. As a retired service member with two kids, I know how important it is to maintain some sort of routine with your children during the summer break. When my kids were on break, my husband and I were still working, so it was important that we were all on the same page about summer schedules and expectations. Our family’s summer routine solution was to get the kids up early in the morning (0400), pack their lunches, put them in the car, and head off to the Youth Activity Center (YAC) in Algiers, LA. There the children were kept busy with field trips, games, and just being able to play with other military kids. The children look back on their time spent at the YAC and remind each other of all the fun they had and all the friends, now spread out across the world, that they met. Creating a smooth summer routine like the one we had does not happen by chance. It takes thought, planning, and communication. One of the tools we use here at FOCUS to help set family routines is the same one I used when my kids were growing up: “Holding a Family Meeting.” In mid-May we would sit down together to discuss our plans. 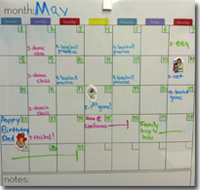 We would pull out our calendars to figure out when Mom and Dad were on vacation, when we would go home to visit friends and relatives, and what weeks the children would be at the YAC or any other camps they would attend. We would also use the family meeting to set some limits on things like daily chores, how much TV could be watched during the evening, and bedtimes. It took time to figure out the best way to set up and organize our family meetings, and we constantly had to tweak them as the kids grew older, but the basic principles remained the same. Create rules for the family meeting. Have each person in the family make suggestions on what kind of rules they think would be helpful during family meetings. Include things like: only one person talks at a time, no phones or video games at the table, and respect each other’s thoughts and opinions. Everyone should get to share. Family meetings are not just a time for mom and dad to set all plans, but a time for the whole family to talk about what kind of activities they want to do over the summer. Family meetings are also a great place to share and discuss any conflicts siblings are having with one another in order to come up with a solution – like not leaving wet towels on the bathroom floor, or picking up dirty clothes. Keep it positive. When family members have different opinions on where the family should take their vacation or what type of day camp they should go to, remind them to keep their comments and suggestions positive and to work together toward a solution. If they are having a hard time doing that, take a break for a few minutes and then come back and try again. Finish with fun. End the meeting with a fun family activity. For instance, my family liked to finish our meetings with a game of cribbage or rummy 500. This helps build family closeness and gives everyone something to look forward to. Summer can be a busy time for military families, but regular family meetings can help provide the clear structure and expectations that children need. Even now as my children are young adults in college and begin to talk about coming home for the summer, I realize it’s time to gather everyone around the kitchen table for some family planning and fun. For more tips on family planning and fun family activities check out our other articles on summer camps, creating a family calendar, and summer time fun. Band camp. Church camp. Girl Scout Camp. Those were my summer camp choices when I was growing up. But with the vast array of camps kids currently have to choose from, the days when the summer camp experience was synonymous with sunburns, mosquito bites, and muddy sleeping bags can be a thing of the past. Summer camps of the 21st century are now as diverse as fencing, scuba diving, international culture, and even bug camp. Camp programs offer options for the sports-inclined camper, the tech savvy kid, the nature lover, and those passionate about the arts. You can even find a camp for clowning! And that’s a good thing because the fun adventures and numerous life lessons awaiting kids at summer camp are sure to make for some wonderful life-long memories! The arrival of summer is an exciting time for kids and families. The warm weather often serves as a signal for coming changes in the family routine. Summer time allows for more freedom and relaxed schedules than during the school year. It is a perfect time to go away on a long vacation or visit local attractions that you’ve been just too busy to enjoy during the school year. While a shift to the summer schedule can mean more opportunities for fun, it may also bring more confusion since plans often vary by day and by family member. Also, parents may feel stress thinking about how to keep their kids busy and engaged. However, with some planning, you can set up a summer schedule that works well for you and your children. FOCUS would like to say thank you to all the service members and their families around the globe for the daily sacrifices they make in support of our country and to all the families of those service members who gave their lives in defense of our freedom. National Military Appreciation Month was instated by Congress in April of 2004 as a way to recognize and celebrate the service and dedication of the members of the United States military. This month includes Loyalty Day (1st), Military Spouse Appreciation Day (6th), VE Day(8th), Armed Forces Day (21st), and Memorial Day (30th). The purpose of this month is to honor and remember all military personnel; both those currently serving and their families and those who have served throughout our country’s history. For more information about all the ways to celebrate this month and more information about its history please visit the official Nation Military Appreciation Month website. At the recent DOD/USDA Forging the Partnership conference in Chicago, IL, the opening session keynote was done by Dr. Jeanette Betancourt, Vice President of Outreach and Educational Practices at Sesame Workshop. In addition to reviewing the popular Talk, Listen, Connect initiative for military families she highlighted their new Healthy Habits for Life initiative which offers simple strategies to help parents and caregivers instill healthy behaviors in children and ensure that they grow into strong adults. Over the past two years, the USTA has expanded its outreach to military service members, veterans, and their families, especially in the areas of physical health and stress relief. 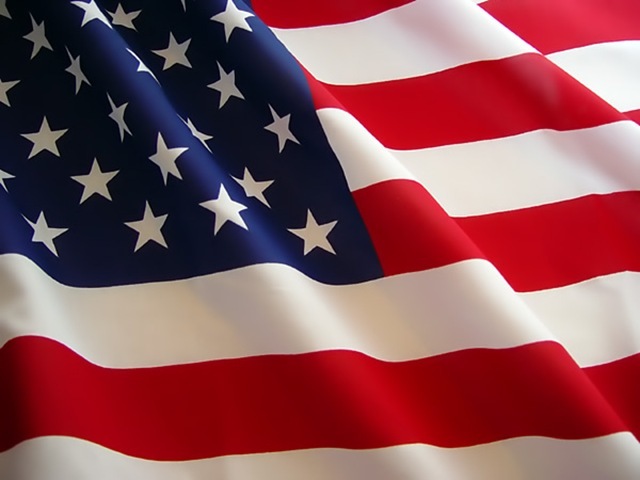 With its on going efforts and new association with Joining Forces, the national initiative to motivate all sectors of society to better support military families, the USTA expects to impact more than 100,000 military personnel, veterans, and their families over the course of 2011.